UMIDIGI’s new smartphone has finally arrived. 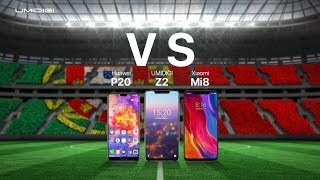 UMIDIGI presented its new UMIDIGI Z2 and UMIDIGI Z2 Pro, calling them the “pioneers of technology, with notches and unprecedented coloring. The design has undergone some changes with the inclusion of notch and shaded colors, twilight, twilight black and phantom. Below are the main features to keep in mind. 1. These smartphones are perfect for viewing multimedia content thanks to the new generation border-less 6.2-inch screen with a ratio of 19:9. This is the biggest change for the new device. Previous devices used a full-screen design in 18:9 sizes. 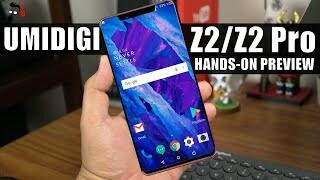 The front of the UMIDIGI Z2 is completely occupied by the screen. The display covers the entire surface of the device, except for a small fragment at the top of the camera. The screen adopts a resolution of 1080 x 2246 and the ship-to-body ratio is about 90%. 2. The smartphone also presents new colors. We find the brand new Gradient Twilight Color that combines with the black and Phantom variant. The new UMIDIGI has adopted three shaded colors, while black is still available as a common standard. The new Twilight color could be a valid reason to buy the new UMIDIGI. It stands out from the others. In other words, it is an extraordinary device that will surely attract a lot of attention, right from the moment you pull it out of your pocket. 3. Bring your photos to life with the improved camera of the new UMIDIGI smartphones, this time with superior photo quality using an optimized quad camera. The dual rear 16MP + 8MP camera has been significantly optimized and improved over 200% over the previous one and features faster autofocus to improve accuracy. UMIDIGI Z2 includes 4K video recording and editing. 4. Impossible not to mention the 18 W fast charge and the presence of global bands. The UMIDIGI Z2’s PE+ technology maximises charging efficiency by enabling a 9V / 2A output. The UMIDIGI Z2 can be fully charged within 80 minutes with a battery capacity of 3850 mAh. The UMIDIGI Z2 supports 7 network modes and 36 global bands. Although the cost of production for the global bands is higher, the Chinese house has voluntarily kept the price low. It also supports 4G VoLTE simultaneously in both slots and enjoy faster data transmission, lower power consumption and a more reliable connection. 5. The price is its strong point. The UMIDIGI Z2 will be available for pre-order from 11th June at 8:00 a.m. The price is $249.99 at a discount of $50. For those who want to take advantage of the novelty of the super-screen combined with a unique design and particularly muted colors, but do not want or can not spend too much, this is the best solution. Shipments will begin within 2-4 weeks.